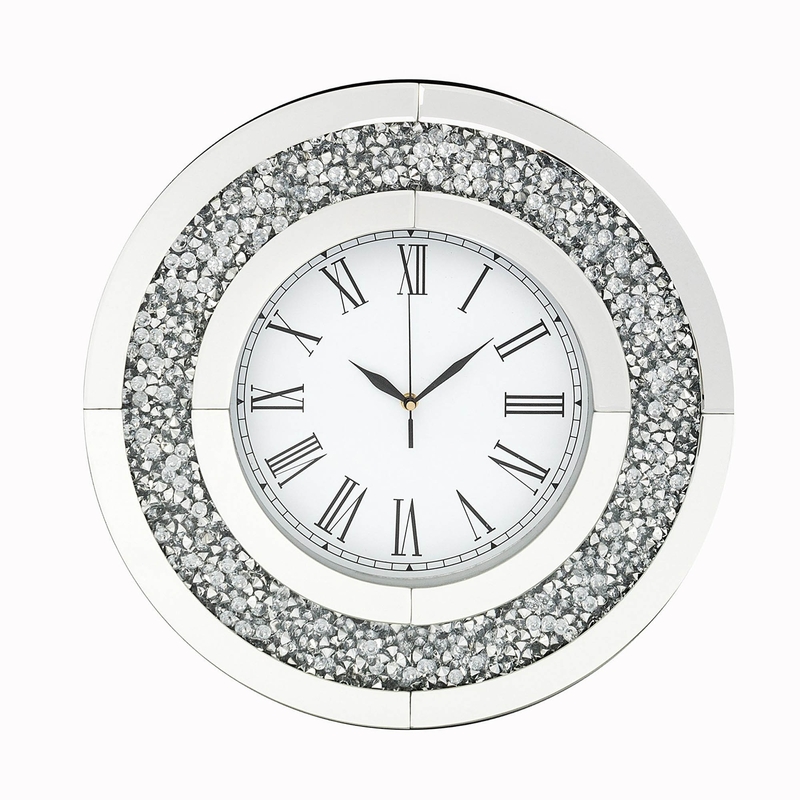 Introducing the newest collection to our vast range of Venetian and crushed diamond furniture, introducing this beautiful Round Mocka Diamond Crush Clock. If you're looking to give your home interior an instant upgrade and add character and style to any wall in your home this wall clock is the perfect option for you. Complete with a white coloured face, crushed diamond and mirrored frame it will become a focal point of any room in your home.